On this page, we provide a variety of resources to help you understand and improve Sales and Operations Planning processes and technology. 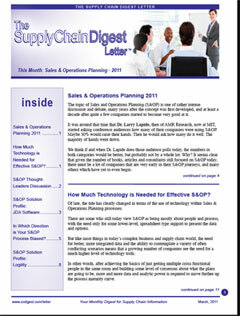 Articles, white papers, reports, supply chain solutions, expert commentary - you will find it all here for S&OP. 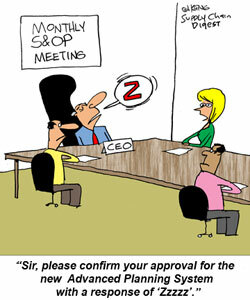 Supply Chain News: In Which Direction is Your S&OP Process Biased? 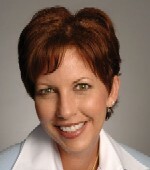 Supply Chain Comment: S&OP: Are You Prepared to be Productive? SCDigest editor Dan Gilmore recently sat down with Fred Baumann, Vice President of Industry Strategy at JDA Software, and a recognized expert on S&OP, on several issues related to S&OP Excellence. 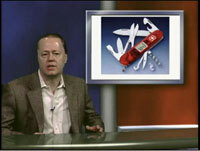 S&OP: Are You Prepared to be Productive? Download it right now. 16-pages of detailed information and insight. 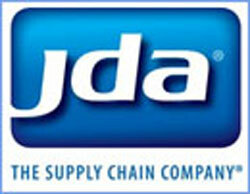 JDA and Oliver Wight set the record straight on the costliest misconceptions in S&OP. A comprehensive supply chain solution that helps instill discipline into the organization. There are a number of tasks and analyses that need to be completed prior to each executive S&OP meeting to make the most efficient use of the monthly planning session. 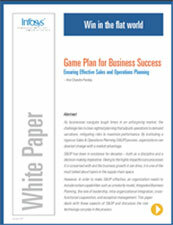 Market success today requires synchronizes the executive planning and execution sides of S&OP. By collaborating with its partners, Sony improves demand visibility, inventory management and revenue. Time for S&OP in Retail?